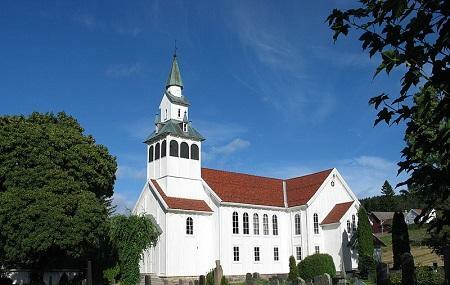 Opened in 1858, Birkenes Kirke is a Parish church in Birkeland, Norway. Located in the village of Mollestad, miles away from Birkeland, this church is family-oriented and welcomes everyone from all walks of life. Part of the Birkenes parish in the Vest-Nedenes, this is a beautiful wooden church which has a capacity of 650 people. Offering a very powerful atmosphere, you will only experience a positive vibe amongst people here. If you happen to visit this church during weekends, do attend the Sunday service which is worth. The church also offers great bible study sessions if you want to know more about Jesus Christ.